JOHN BAMBERY (Jebediah) is overjoyed to be back on the trail! He has performed at the American Repertory Theatre, Commonwealth Shakespeare Co, Speakeasy Stage Co, Kentucky Repertory Theatre, Carnegie Hall, Symphony Hall, The Metropolitan Opera House, Harvard's New College Theatre, and Columbia Stages. He has developed new works with MCC, Eugene O'Neill Theatre Center, as well as No.11 Productions. 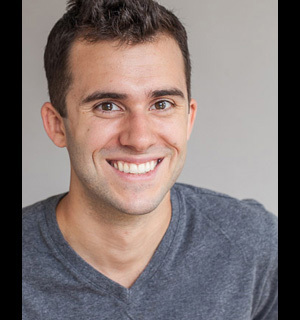 John holds a BFA in Theatre from the Boston Conservatory and has also trained at the Moscow Art Theatre School and Manhattan School of Music. RYAN BUCHANAN (Assistant Music Director) is so excited to be working with such a talented cast and crew! Ryan is a rising junior at NYU, studying Music Composition and Education. He works as an A/V technician at the Gallatin theater on campus, and music directs the all-male a cappella group the Vocaholics. Ryan never played the Oregon Trail game as a child but gladly jumped on the bandwagon last year and thoroughly enjoyed the iPhone app. LAUREN BYRD (Stage Manager) thanks to the magic of the Once rush line, Lauren started doing video editing and stage managing for No.11 Productions in March. In "real life", she works in post-production and sees a lot of theatre. JULIE CONGRESS (Character 2) is Co-Artistic Director of No.11 Productions. No.11 credits include: Coosje, A Christmas Carol, Quest for the West: Adventures on The Oregon Trail!, Medea, The Elephant Man – The Musical, Lysistrata, MythUnderstood, We Three, Claire and the Ornithological Shadow, and Jet of Blood. 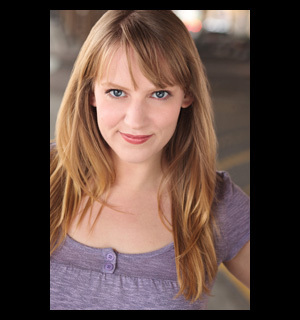 Julie holds a BS in theatre from Skidmore College and has studied at the Moscow Art Theatre School. She is Co-Chapter Director of the New York Educational Theatre Association. STEVEN CONROY (ASDFJKL;) is a No.11 Productions Ensemble Member and he is overjoyed to be a part of this wagon party! Credits with the company include Coosje, MythUnderstood, and A Christmas Carol at the Kentucky Repertory Theatre. Other recent credits include All’s Well That Ends Well (Commonwealth Shakespeare Company), the NYC premiere of A Couple of Poor Polish-Speaking Romanians (Henry Street Settlement), Survived By, and Pretty White Room. Boston College alum. 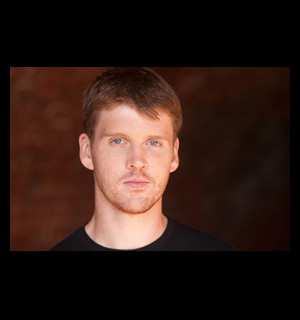 RYAN EMMONS (Director/Book) is Co-Artistic Director of No.11 Productions. Directing credits with No.11 Productions include Coosje, A Christmas Carol, Medea, MythUnderstood, and Jet of Blood. Most recently, Ryan was the SDC Observer for Ghost the Musical on Broadway. Ryan has directed projects for Home Made Theatre (NY), Kentucky Repertory Theatre (KY), and Columbia University (NY). 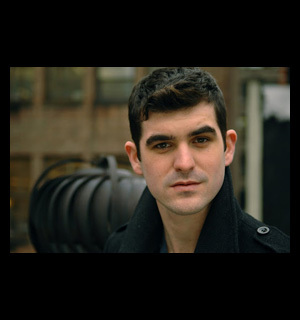 He is Chapter Co-Director of the New York Educational Theatre Association and has studied at both the British American Drama Academy and the Royal Shakespeare Company. Ryan holds a BS in Theatre from Skidmore College. STEVE GOODWIN (Incidental Music/Cello) is a current student at Oberlin College. No.11 credits include: Lysistrata, Assemblywomen, and MythUnderstood. HALEY GREENSTEIN (Hope) is a No.11 Ensemble Member. No.11 Productions credits: Coosje, A Christmas Carol, Quest for the West: Adventures on The Oregon Trail!, MythUnderstood, The Elephant Man – The Musical, Medea, Lysistrata, and Jet of Blood. Other credits include: Woyzeck Musical Deathmetal (Gorilla Rep/Kentucky Repertory Theatre), Berenstain Bears Live! (Matt Murphy Productions), Hitgirls (Wake Up Marconi! ), Building a House out of Feathers (The Paper Industry/The Ontological-Hysteric Theatre), Little Fictions (The Paper Industry), Plan B The Musical (Looking Glass Theater), and Wit (Homemade Theater at Saratoga Performing Arts Center). Haley holds a BS in Theatre from Skidmore College. 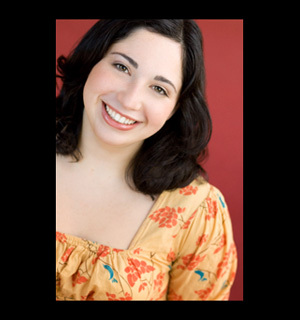 REBECCA GREENSTEIN (Music/Lyrics) is a recent graduate of the BMI Lehman Engel Musical Theatre Writing Workshop. Other shows include Medea (No.11 Productions/FRIGID New York), Plan B (Looking Glass Theater), GEORGE, and the Columbia University Varsity Show. Visit rebeccagmusic.com for more info! RYAN HAUENSTEIN (Lighting/Set Design) most recently designed lights for Coosje and Woyzeck Musical Deathmetal. He is delighted to once again work with No.11 Productions after having designed the set and lights for A Christmas Carol. He has previously served as Technical Director for Kentucky Repertory Theatre. Ryan holds a BFA in Technical Theatre from Western Kentucky University. KYLE MULLINS (Choreographer) was born and raised in Overland Park, KS, Kyle earned his BFA in Dance at the University of Arizona. Since relocating to New York, he has had the pleasure to dance with the Steps Repertory Ensemble, dre.dance, Bill Young/Colleen Thomas and Dancers, The Chase Brock Experience, and York Dance Works. He has worked with Donald Byrd, Benoit-Swan Pouffer, Nathan Trice, Cherice Barton, Andrea Miller, Sean Curran, Camille A. Brown, Aszure Barton and Larry Keigwin. 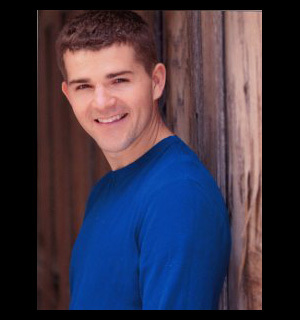 He has performed for Kansas City Starlight in The Music Man, for Royal Caribbean Cruise Lines, and on One Life to Live. He choreographed Triassic Parq: The Broadway Musical (Off-Broadway), Jurassic Parq: The Broadway Musical (FringeNYC, 2010) and Who’s Your Baghdaddy or How I Started the Iraq War (Capital Fringe, 2011). He also teaches dance outreach with the Hudson Guild in NYC and has worked with children in Cape Town, South Africa. JEN NEADS (Visual Art/Book) is an Artist-in-Residence with No.11 Productions. No.11 credits include: Coosje, A Christmas Carol, Quest for the West: Adventures on The Oregon Trail!, MythUnderstood, We Three, Claire and the Ornithological Shadow, Jet of Blood, The Elephant Man – The Musical, Lysistrata, and Medea. Jen is a graduate of Skidmore College. Jen has created various theatrical poster designs and developed the logo for the New York Educational Theatre Festival. DANNY TIEGER (Music/Lyrics) is a member of the No.11 Ensemble. Danny graduated from Skidmore College with a BS in Theatre, which he continues to use on a daily basis. He lives in Los Angeles, CA where he works as a songwriter for film and TV. This past year he performed an original song each week on the Hubworld. With No.11 Productions: A Christmas Carol and Coosje. Other theatre credits include Boys Life, The Cherry Orchard, Killer Joe, American Notes, and Burial at Thebes. ENRICO DE TRIZIO (Music Director/Arranger) is a pianist, composer and music technologist based in NYC and a member of the No.11 Ensemble. He graduated in Piano Performance and Jazz Music with highest honors from the N. Piccinni Conservatory, then moved to Boston on scholarship where he graduated with the highest honors in Electronic Production and Design from the Berklee College of Music. His credits include: BET 106&Park, Latin Billboard Music Awards, Bobby McFerrin, The Roots, Big Boi, Philip Bailey, Joe Lovano, Fred Wesley, Kenwood Denard, Massachusetts Institute of Technology, Instituto Superior de Artes (Cuba), Museo Nacional de Bellas Artes de La Habana (Cuba), Columbia University, International Community for Auditory Display, Central Conservatory of Music (Beijing, China). With No.11: A Christmas Carol, Coosje, and MythUnderstood.